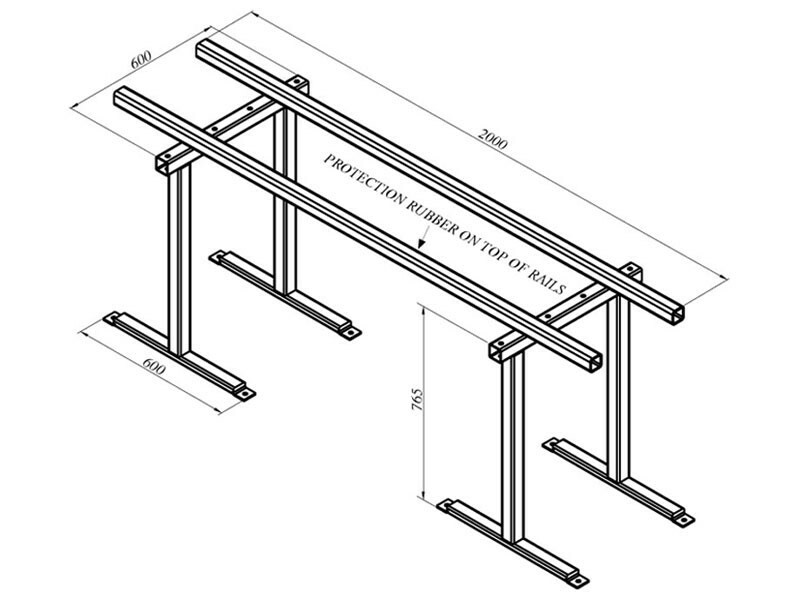 The Aardwolf Trestle - 765N is portable but also can be dyno-bolted to floor for a permanent position. 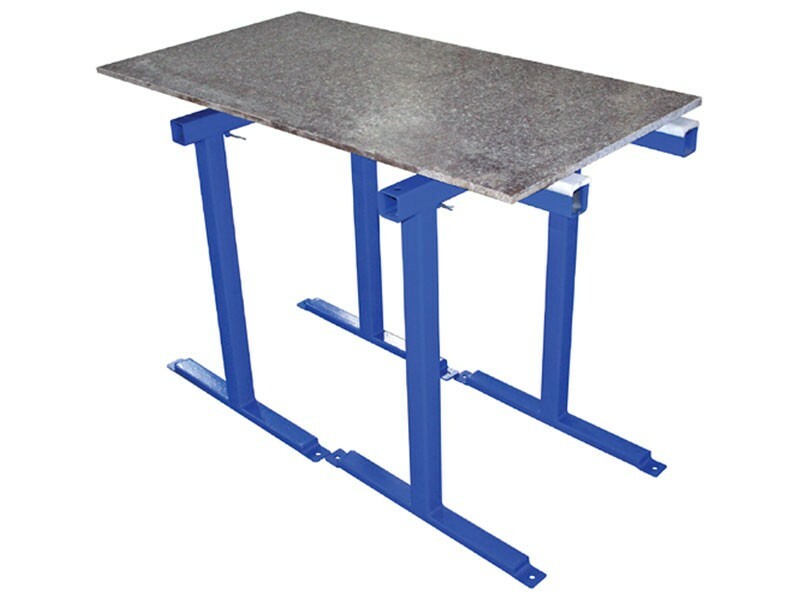 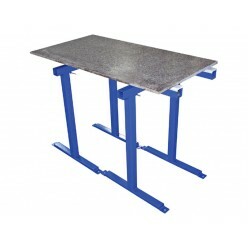 It can also be used on job sites or for factory fabrication. 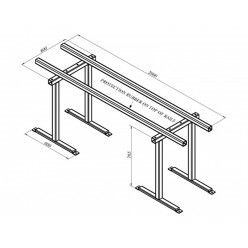 The rails are adjustable for width in 100mm increments. 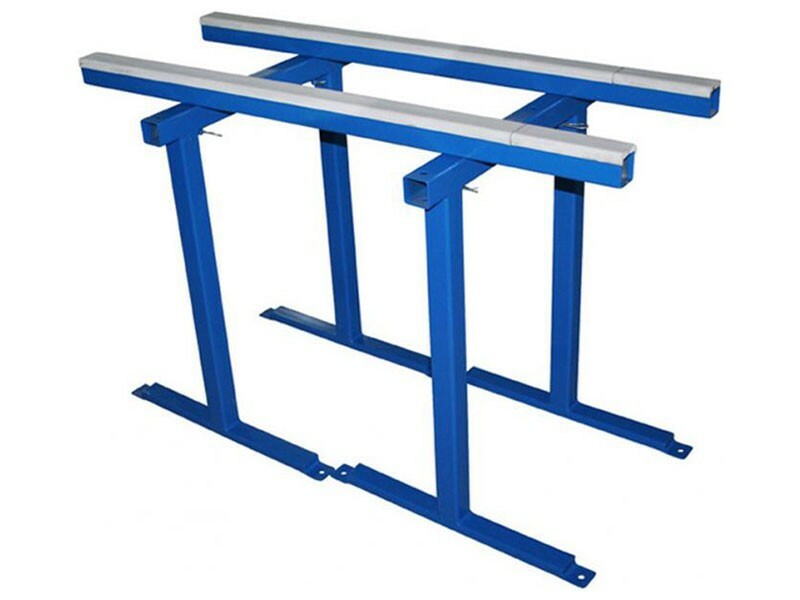 The rubber covering the rails is UV ray, acid and mark resistant.